The 1975 Share New Video for "Give Yourself A Try" - GENRE IS DEAD! 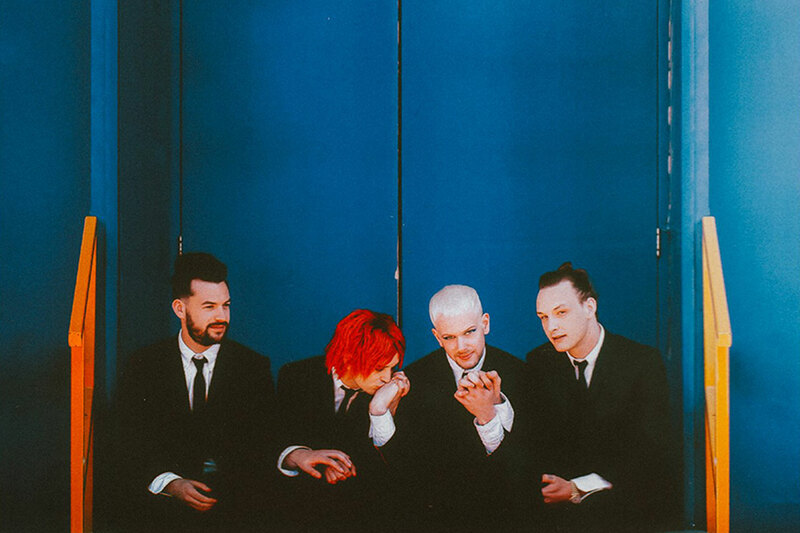 The 1975 has released a funky new video for their newest single “Give Yourself A Try” which has the band performing the tune in a room full of mirrors. Frontman Matthew “Matty” Healy’s bright orange hair and purple eye shadow looks amazing! The danceable light pop track is perfect for many warm summer nights. We can’t wait to hear more of the band this year. “Give Yourself A Try” is only the beginning: as the band told BBC’s Annie Mac, the band plans on releasing two new albums during the next 12 months! The follow-up to their 2016 record I Like It When You Sleep, for You Are So Beautiful Yet So Unaware of It is due out in October and will be titled A Brief Inquiry Into OnlineRelationships.